Pannell Discussions » 264 – Capitol Records’ shameful handling of The Beatles » Ideas in economics, environment, policy and more. This year is the 50th anniversary of the Beatles first success in the US, and there is a lot of celebrating and reminiscing going on. Capitol Records in the US probably made more money from The Beatles’ phenomenal success than anybody else, but nobody less deserved to profit from The Beatles than Capitol Records. They were dazzlingly incompetent and shamelessly greedy. Capitol had the right to release all of The Beatles music in the US, because Capitol was owned by The Beatles’ British label, EMI. But for ages they refused to release any Beatles music at all, turning down four singles and two albums, to the enormous frustration and anger of everyone associated with the band. Capitol arrogantly presumed that anything produced by the British would not succeed in the US. Even “She Loves You” (not just obviously a great track but the all-time highest selling record in the UK for the next 14 years) didn’t hit them as something that would be worth releasing. Clearly they were totally incompetent as judges of music, but they couldn’t even take the signals from the Beatles’ extraordinary success in England throughout 1963. American artists touring the UK were returning to the US with tales of the great music and unbelievable success of The Beatles, but Capitol didn’t know or didn’t care. Eventually they released “I Want To Hold Your Hand” (one source says they were forced to by their parent company EMI) and immediately the Beatles records took off like nothing else before or since. In the opening four months of 1964, more than half of all records sold in the US were by the Beatles. One week they held all of the top five positions on the singles chart, plus the top two albums. Did Capitol learn from their previous arrogance and stupidity and treat The Beatles with more respect? Not a bit of it – they found a variety of ways to add insult to injury. In a demonstration of brazen greed, Capitol omitted three or more songs from every Beatles album, and when they had accumulated enough songs in this way, they put out additional albums. This must have infuriated the Beatles, who were always concerned about providing value for money. The average length of The Beatles’ early Capitol albums is about 26 minutes. 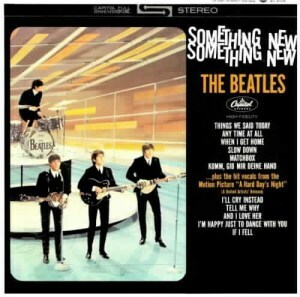 Most outrageously, Something New included only five new songs; four of the other six had already been released the previous month on A Hard Day’s Night and two had already been released as singles. And they called it Something New! Even including the six songs that fans already had, the album was only 24 minutes long. They didn’t just shorten the albums, they re-juggled and mashed together songs from different albums and singles, meaning that the albums lost continuity of sound and style. Capitol threw out any of the band’s judgments about album coherence and song sequencing. For American fans, the Beatles’ extraordinary album-by-album progression – so obvious in the rest of the world – was masked. Most of the US albums are incongruous messes, with songs stuck together from several different sources. For example, Yesterday and Today (which was at least honestly titled) included two tracks from Help! from mid 1965, four tracks from Rubber Soul from late 1965, two tracks from a late 1965 single, and three tracks from Revolver from mid 1966. When they released Rubber Soul, they didn’t just trim down the UK version, they slashed four tracks and threw in two tracks from Help! that didn’t belong there at all. All of their albums prior to Sgt Pepper were pruned, muddled and mangled like this. 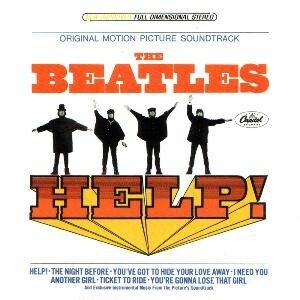 United Artists got in on the rip-off act when they released the movie soundtrack albums for A Hard Day’s Night and Help! In the rest of the world these albums had 13 or 14 Beatles tracks, but in the US they had only 9 (AHDN) or 7 (H!). They were padded out with instrumental music from the soundtrack, not performed by The Beatles. Displaying further greed, Capitol released an absolute appalling documentary album, The Beatles Story, in 1964. It is truly ghastly. By this disgusting combination of practices, Capitol and UA required US fans to buy 12 albums (prior to Sgt Pepper) compared to 7 in the rest of the world. Capitol butchered the sound of the recordings. Without permission from The Beatles or their producer George Martin, they added treble and extra echo to the early recordings and they manufactured fake stereo from mono recordings by putting high frequencies in one speaker and low frequencies in the other. As a result, the sound quality of the US releases was noticeably inferior to the UK originals. Another way that Capitol made easy money was by releasing extra singles for tracks that were only on albums or e.p.s in England. Some of these were good choices for singles (“Yesterday” and “Nowhere Man”) , but a couple of the songs were really second-rate by The Beatles’ standards (“I’ll Cry Instead” and “Matchbox”). Clearly, Capitol couldn’t tell good music from bad, or they didn’t care. Up until Rubber Soul, the album artwork of US albums was just awful, as illustrated in the above two examples. They passed over some excellent artwork design on the UK albums to release a series of tacky and tasteless covers. Overall, the contrast between the good taste, value for money and integrity of Parlophone/EMI in the UK, and the tastelessness, greed, incompetence and unscrupulousness of Capitol in the US could hardly be greater. When the albums were released on CD in 1987, the Beatles insisted on the UK versions being used in all countries, and the appalling US albums were finally put to bed. Or so it seemed. Unfortunately, Americans who grew up knowing only the mangled albums continue to hold a soft spot for them, despite their many failings. Eight of the albums were released in two box sets in 2004 and 2006, complete with the original poor sound. In January 2014, another CD box set of all 13 US-specific albums was released, and you can now buy them all individually. There is no excuse or explanation for this other than greed. This time they have better sound but the dreadful original track listings and covers are preserved. I pity the fans who are allowing themselves to be ripped off all over again. They should be giving Capitol their condemnation, not their money. Posted on 14 April, 2014 by David Pannell. This entry was posted in Music. My dad was a fan and I grew up with a cardboard box full of cassette tapes of Mike & The Mechanics, The Traveling Wilburys, The Eagles, Beach Boys, Beatles, Bob Dylan and so on. And I hate the box sets too. We even have this book of sheet music for “all” the Beatles songs. Thanks for the trip down memory lane. My dad passed away two years ago but I love hearing about things he and I used to share a love for. For some reason my favourite was Paul then it was George. It’s still sort of George but if you asked me who was the smartest, it would be Ringo. For some reason I cannot stand John (heresy! I know!). The first four albums were released in monophonic or monoral. We had a mono set to play them on, and they sounded fantastic. When the stereo versions were released, the sound seemed diminished and diluted. I discovered the British versions of the first four albums in the import section of a record store near us. Albums in 1963 were $3.95. Imports were $11.00. That was very expensive then! The first album had a great sound, but I can’t say the same for the following three. I did not like Rubber Soul as much as Revolver, and Sgt. Pepper just sounded like studio experimentation instead of concentrating on the song writing. Yellow Submarine enraged me! Now they were purposefully putting out crap! Same can be said of Magical Mystery Tour! Then,…..the White Album! 30 cuts, but only 4 quality songs! Let it Be was passable, but Abbey Road was the best of all! They saved the best for last! I loved them, but I am also critical of their inferior work as well. The world tour took a lot out of them for sure, and they seemed to have given up by 1968. Brian Epstein’s passing was another element of their confused musical direction after 1967. Thank God they had George Martin! I loved monophonic records, but there are no longer mono sets to play them on! In addition, Paul McCartney was the best musician of the band. He’s really a lead guitarist playing base. After Stu Sutcliffe passed away, he took on the base playing role. I can think of dozens of lead guitarists more talented than George Harrison, but in the context of their type of music, he wasn’t tasked too hard, and was perfect for the group. Rings was a better drummer than displayed on record. Drummers can improvise, but he was handcuffed by the uniformity of the type music written. Look at the live concerts they did in Europe before the US visit in 64. He can really bang those drums! And John Lennon was John Lennon. Not a great guitarist, but he didn’t HAVE to be. Perfect for the Beatle formula. More a great song writer! All in all, they were 4 guys from a rough neighborhood who loved music to the point of obsession, and they made it out of their environment and got a bit of luck thrown in as well. It’s one thing to be talented, but someone has to NOTICE you’re gifted! Enter Brian Epstein, and the rest is history! I have read that the major reason Capitol mangled the UK releases was to do with record royalties. Under the UK system, royalties were paid on a per track basis. As such it didn’t matter how many tracks were on the album. In the US, royalties were paid on an album basis, so obviously the more albums that were released, the more money paid. And the the best way to increase the number of albums was to decrease the number of tracks each had. Now, if this is true, the Beatles themselves would naturally benefit from the arrangement. So perhaps we shouldn’t come down too hard on Capitol, they were also looking after the interests of their artists besides lining their own pockets. And then there’s Dave Dexter and DUOPHONIC!!!! Nooooo! I think Mark Lewisohn’s book mentioned that EMI’s original contract with The Beatles paid them a lower royalty rate for sales in the rest of the world than in the UK (the UK rate wasn’t great). Lewisohn points out that initially touring was how they made most of their money! In the beginning, Canada received the masters from the UK. The first two Canadian Lp’s (Twist & Shout, Beatlemania) had 14 tracks. The Beatles’ Second album became Long Tall Sally, although with the Capitol standard 12 tracks. Thereafter US Capitol made sure that Canada got the US versions. Some have suggested that the US company didn’t like imported Canadian versions actually competing with the US album in border cities. The only other album to vary between Canada and the US was Let It Be. Canada got the printed booklet. The US got the orange-labelled counterfeit version! Interesting. I always thought they were under pressure from Capitol to release discs on such a regular basis as to satisfy demand. Parlophone had nothing to do with that, I assume. Actually, I think it was Brian Epstein and George Martin who first came up with the idea that they should produce 2 albums and 4 separate singles per year. They only actually achieved that in one year (1963), but they went close in all the other years except 1966 (if you count the White Album as two albums and assign Let it Be to 1969). Capitol sometimes asked for recordings to be provided in advance of their release in the UK (e.g. the three songs that got left off Revolver and included on Yesterday and Today), but all the songs they recorded were mainly done with UK albums and singles in mind. They just were unbelievably productive. I’d say 95% of their work was fantastic. The Yellow Submarine and Magical History Tour albums were their low points, though there were two or three great songs on each. About the White Album,..I thought at the time of its release they just wanted to get out of their contract with Capitol asap, and released the two discs. It was them in trasnsition as a band, for sure. Had no idea the end was ver close! They finished strong with Let It Be and Abbey Road. I often wonder, if they somehow continued past 1970, what they would have sounded like, or morphed into. Glad they didn’t do what the stones did, and just release album after album with such low quality just for the sake of releasing a disc. Ironically, the Stones best work was before 1973, when the creativity seemed to just disappear! I have to agree with the point about having a soft spot for the Capitol releases. It’s what I grew up with and even to this day I find it hard not to expect the next track to be…Perhaps for me the best way to cure that is make a compilation CD of their albums and put it on shuffle. But thanks for clearing up the mystery. Now it all makes sense. Thanks for your reporting of how The Beatles releases were mismanaged by greedy Capital Records executives. I grew up buying Beatles albums and knew when they were being released. At that age, I had no idea what was happening. I was just thrilled to get the next one to hear what they created in the studio. I’d never sat down and really listened to the Mono versions. I think I was brain-washed that Stereo was the only way. The new remastered Beatles in Mono, vinyl versions, are absolutely amazing. Thank you Apple records and the audio technicians who toiled over this remastering project. I don’t think I can convey to the millennial generation how special a time the early sixties were! In music, it was The Beatles. In movies it was Bond! Yes, the monophonic recordings were amazing! Played on the correct equipment, they seemed more natural. RCA made a Victoria in 1957 that was all speaker! The bass speaker was “12, the mirage speakers were “6 and the four tweeters were “3. You heard a string arrangement so clearly and sharp, you wanted to make sure you also had at least 2 replacement cartridges because you didn’t want to be left high and dry! The only weakness of the old phonos, were the tubes. When they heated up, and played for more than an hour or two, the wooden cabinet heated up noticeably. But I loved the wooden cabinet smell it produced! Give me “Meet the Beatles” and an RCA Victoria, and I’ll forget my problems for 40 minutes at least! In Brazil was as worse as in US. The first two albums were unique, ‘Beatlemania’, same cover as ‘With The Beatles’ but the tracklist is different: 12 tracks, 9 from With The Beatles, 1 from Please Please Me, completed with She Loves You and I Want To Hold Your Hand. The second album was called The Beatles Again with 12 tracks and it’s more a compilation than an album, with tracks from Please Please Me, With The Beatles, A and B sides from singles and ‘Can’t Buy Me Love’ with the pitch slowed down. The third album was called ‘Os Reis Do Ie Ie Ie’ (the kings of yeah yeah yeah). The record is the same as A Hard Day’s Nght but the color of the cover was changed from blue to red. Don’t ask me why. The fouth album was ‘Beatles 65’ but it’s not the american album, it’s Beatles For Sale with the track list changed and minus 2 tracks (Baby’s In Black and Every Little Thing, these tracks were released only in 1974, when the british versions of the albums were released for the first time in Brazil). The fifth was Help!, the tracks of the side B of the british version was lefted off, being released on various EP’s with tracks of british LPs that weren’t included on the brazilian albums and were flying around on the brazilian catalogue. The album was completed with 2 tracks from Please Please Me, I’m Down, I Feel Fine and Thank You Girl. From Rubber Soul on the albums were released like the british versions. Rubber Soul with the original mono mix, all the rest with a fold down of the stereo mixes to mono with one channel louder than the other. Can you imagine that? Bizarre things happened at the time like pitch altered on almost every song. ‘Revolution 1’ on the white album was a disgrace with a speed variation that I never ever heard in any other record. Penny Lane has a inexplicable skip cutting out the words ‘in summer’ of the verse ‘a four of fish and finger pies”. In 1972 Odeon (EMI) released stereo versions of these albums. Only Beatles 65 and from Revolver to Let It Be was in true stereo, all other albums was mixed in a fake stereo that sounds like crap (i’m being polite). In some cases the albums were made with those fake stereo mixes used on those “unique” albums and the record company repressed the albums while getting original masters, so you have the chance to get the same album in fake stereo, half fake half true stereo and all in stereo Some tracks sounded like somebody was testing an equalizer, the frequencies changes in the middle of the songs! You can’t imagine how these records sounds. ‘Rubber Soul’ was released in stereo for the first time in 1988 when the first remastered versions were release worldwide. The album ‘Os Reis Do Ie Ie Ie’ (A Hard Day’s Night) was never released in true stereo in Brazil on vinyl, only in the remastered 2009 CDs. Brazilian Beatles’ fans suffered for at least 25 years. Wow! That is extraordinary. You are right. That is even worse than what Capitol did in the US. I wouldn’t have thought it possible. Thanks very much. Thank you David. There is much more detail about these Brazilian albums. Although they sound so bad, they’re interesting to hear. The funny thing is that Brazilian fans at the time believed that these records sounded like that because the Beatles themselves had recorded them that way. It’s hard for me to believe that no one at the time realized these defects. This is a very interesting topic (for me). I really like to talk about it. Sorry if my english is like the brazilian Beatles albums, haha. Greetings from Brazil! I’m really glad you shared your knowledge of this. Wow, I had no idea their record releases were so different in other countries! Could these have been grey market releases? Maybe poor bootlegs? I’ve heard stories of records being smuggled into third world countries, but this is quite extreme. Surprising that the record companies would allow such low quality to be released to the public. Amazing. I don’t understand why there were so many single-only(songs that were initially released as singles but never put on an album) songs from the beatles repertoire..Could you explain this. Capitol/ EMI really screwed the beatles catalogue up so much. These Include Penny lane/ strawberry fields, Lady Madonna, Paperback writer/rain, All you need is love, hey jude/ revolution…etc.. The Beatles were always concerned to provide value for money to their fans. Their view was that, as much as possible, songs released on singles should not be included on albums. That way people could buy the singles confident that when they bought the next album they would get songs they hadn’t already paid for on the singles. It was a laudable approach. Obviously, they didn’t always achieve this even in England where they had control of their records’ contents: Love Me Do, Please Please Me, A Hard Day’s Night, Can’t Buy Me Love, Help, Ticket To Ride, Eleanor Rigby, Something, etc. all appeared on UK albums, but look at the amazing collection of singles that didn’t (collected on the Past Masters CDs). Capitol, on the other hand, completely ignored the Beatles’ preferences in this regard. The worst sin by Capitol was how many throw away singles were released. Songs like “Penny lane”/”strawberry fields”, Hey jude/ revolution, hello goodbye/baby you’re a rich man, all you need is love/ i am the walrus, Get back/ don’t let me down…what label other capitol would do such a thing…Penny lane/ strawberry fields should have been on Revolver, Hey jude/ revolution should have been on the white album, hello goodbye/baby you’e a rich man should have been on revolver, All you need is love should have been on sgt pepper. etc…the worst label..they almost didn’t sign the beatles.what idiots..
Hi David. I agree with you that Capitol were idiots, especially for turning down numerous Beatles records that they had the right to release (because they were owned by EMI in the UK). However, I don’t agree fully with you about these singles that you’ve mentioned. All of these were chosen by George Martin and the Beatles themselves, and were released in the UK as well. They were consistent with the Beatles’ explicit philosophy of not putting singles on albums, so that the albums would be better value for money for fans. Penny Lane/Strawberry Fields Forever were recorded in the sessions for Sgt. Pepper, not Revolver. In this case I agree that it’s a shame they were pulled off the Sgt. Pepper album. George Martin himself said that it was the biggest mistake of his professional career. Hello Goodbye was paired with I am the Walrus, not Baby You’re a Rich Man (which was the B side of All You Need is Love). It could not have gone on Revolver, which was recorded more than a year earlier. There wasn’t actually an album to put Hello Goodbye on until Capitol put it together with the Magical Mystery Tour e.p., the Penny Lane/SFF single and All You Need is Love, to make the MMT album. It’s almost the only good thing Capitol did in their entire dealings with the Beatles. Having said all that, I think that Capitol DID release a bunch of throwaway singles, trying to cash in on their early stellar success. They released a large number of additional singles not chosen by the Beatles or George Martin. Some of these were good choices (e.g. Yesterday, Nowhere Man) but others were highly inferior to the best of the Beatles work (e.g. Matchbox, I’ll Cry Instead, Boys). I am sorry that I made those errors, I was so angry writing that comment that I mistakenly put songs on albums where they belonged, didn’t check the chronology carefully,.I still maintain, however, that it was such a mistake to leave off so many great singles off the albums. It was disgraceful. I do agree that Capitol Records cut up and mangled The Beatles albums from their original UK format…but I don’t think greed was their only motivation. Some of this ‘mangling’ is due to different ‘customer expectations’ in the North American marketplace. The Original UK versions did not contain the hit single. (You had to buy the single seperately) In North America the hit single was expected to be on the LP. The customers would have been mad if their favorite song was ‘missing’ from the album (What the heck? That’s the MAIN reason I bought the album! What a rip-off! 😒) They might have had customers wanting to RETURN the records…or perhaps customers would skip buying the album at all and ONLY buy the single. Sirius radio has The Beatles channel. Sometimes it can be annoying not hearing an album cut for nearly a half hour. They play other artists covering a Beatles song, and sometimes it works, and sometimes it’s horrid! But they give a great back story to the songs themselves. Alice Cooper can really sing! 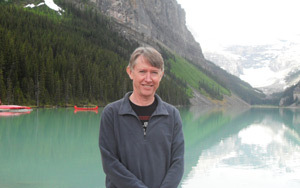 He was an avid Beatles fan, and he covers some of their songs. No offense to you Sir, but these are things that happened 5 plus decades ago. Anyone who cares already knows. I prefer the British albums myself but in most cases the American albums weren’t terrible listens. In fact Meet The Beatles is a better album IMHO than With The Beatles. The American Rubber Soul offers a different but nearly equal perspective to the British one. Yesterday and Today and Hey Jude are both excellent mop-up albums. Don’t get me wrong, there are wince inducing moments in the American catalogue. The “stereo” versions of I Feel Fine and especially She’s A Woman are enough to make you head for the hills. Beatles VI is possibly the worst combination of songs you’re ever going to find from the Beatles. If you really this peaved off by the American catalogue and more to the point there is only one thing you can do. Ignore it. Thanks for sharing this useful information. I really like this. Good luck for your future posts. Really enjoyed your article. I’m half way through Tune In – can’t recommend it enough – like revisiting history with eyes open, including the EMI Capitol shenanigans – and how it affected George Martin’s very varied career. Also, with regards the 2004/06 Capitol box sets – “The Capitol Albums” vol 1 & 2 – these are another example of Capitol screwing things up and screwing customers around. Volume 2 first pressing had the wrong mono for Beatles VI and Rubber Soul – they had just folded down stereo into mono and someone noticed! When they were found out they did NOT recall and replace, nor did they make it anything but very difficult to get those single CDs replaced with the correct mono mixes. If you are thinking of purchasing (e.g., used), make sure you know how to tell difference so you don’t buy bad one. I am partial to some of the stereo mixes for the Canadian albums – esp. Any Time At All. I have appreciated getting a lot of good and reliable, legislative information with your post.